Escrow accounts are separate savings accounts to cover property tax and insurance on a home. 2. What Happens to the Excess Escrow Balance When Selling a House? 3. What Is Escrow & MI? With mortgage loans, lenders may maintain escrow accounts, sometimes called capture accounts, to allow the accumulation of funds to pay the property taxes or insurance premiums for the property. Escrow accounts may handle private mortgage insurance as well. Typically, you make a monthly deposit into these accounts that is equal to one-twelfth of the yearly bill. This amount is added into your mortgage payment. When you pay off the mortgage under any possible scenario, it affects any escrow account connected with the loan. If you pay off your mortgage by making the last regularly scheduled payment, or by paying off a larger balance with savings or a cash windfall, the lender will generally close the escrow accounts and refund the balance of these accounts to you. Check with your lender before paying off the mortgage, as you may be able to apply the balance of the escrow account to the loan balance at the time of payoff. If you refinance a mortgage to get a lower rate or take cash out, the closing agent pays off your old mortgage when the new mortgage is funded. Any escrow balances should be refunded to you in this process, but it can take some time for the lender to do this. If your new mortgage requires escrow accounts, you may need to fund the initial balance of these accounts with cash at closing. If the servicing of your mortgage is sold to another loan servicer, the balance of the escrow accounts should transfer to the new servicer. Your previous servicer will probably provide you an up-to-date statement showing all of the recent escrow transactions, as well as the balance that is being transferred to the new servicer. You should watch your statement from the new servicer to make certain that the escrow balance has transferred correctly, and that escrow deposits and payments are posting correctly. Some lenders will let you drop the escrow accounts for taxes and insurance once you have sufficient equity in the property. Consider carefully if you wish to do this, as you will now have to come up with the money for the large property tax and insurance bill on your own. 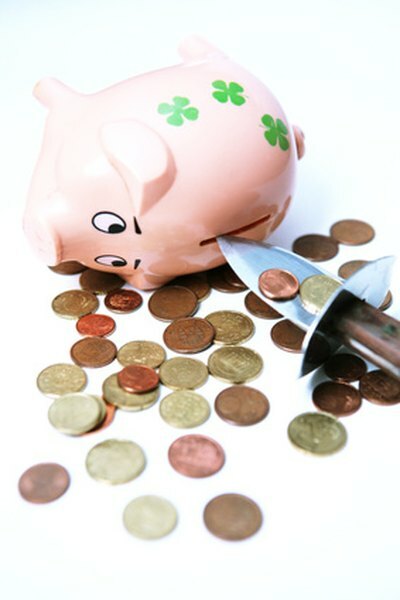 If you do not budget money well, you may wish to keep the escrow account. Will Banks Pay Property Taxes on Delinquent Mortgages? What Is a Prorated Mortgage on a Pay-Off Statement? How Is Insurance Paid on an Escrow Loan? Who's Responsible for Escrow Accounts?